Andrew Quest did his undergraduate studies at the Swiss Federal Institute of Technology (ETH) in Zuerich, Switzerland where he received a Masters degree in Biochemistry (1983). He obtained his Ph.D. degree from the same institution in 1988 investigating the role of compartmentalized energy replenishment systems (creatine kinases) in vertebrate phototransduction. From there he moved to the laboratory of Dr. Ben Shapiro (Department of Biochemistry, University of Washington, Seattle, WA, USA) to study mechanisms and specifically lipid modifications responsible for targeting a cytosolic creatine kinase isoform to the tail compartment of sea urchin sperm (1988-1990). Driven by an increasing interest in signal transduction processes and specifically lipid second messengers, he then pursued a second post-doctoral training period in Dr. Robert M. Bell’s laboratory (Department of Biochemistry, Duke University, Durham, NC, USA) investigating lipid-dependent regulation of Protein Kinase C (1990-1994). From there he moved to back to Switzerland as an Assistant Professor at the Institute of Biochemistry, University of Lausanne (1994-1999), where he continued studying mechanisms involved in the regulation of specific Protein Kinase C isoforms and their role in cell transformation. At the same time a line of investigation focusing on the role of membrane microdomains (rafts, caveolae) in cellular signaling and cancer developed. Since then he moved to Chile to the Program of Molecular and Cellular Biology, Institute of Biomedical Sciences (ICBM), University of Chile (1999 to date), where he has been working in the areas outlined under “Research Interests”. Andrew Quest currently holds a position as Full Professor. Projects in his laboratory have been funded by national (FONDECYT/PIA/FONDAP) and international programs (ICGEB, Wellcome Trust, ICRO, EMBO). He is one of the six principle investigators that founded the Center for Molecular Studies of the Cell (CEMC) in 2002 and was funded by the FONDAP program until 2012. The mission of this Center of excellence with a strong focus on various aspects of cellular signalling was to create an internationally competitive basic research environment in Chile that favored interactions with clinicians. 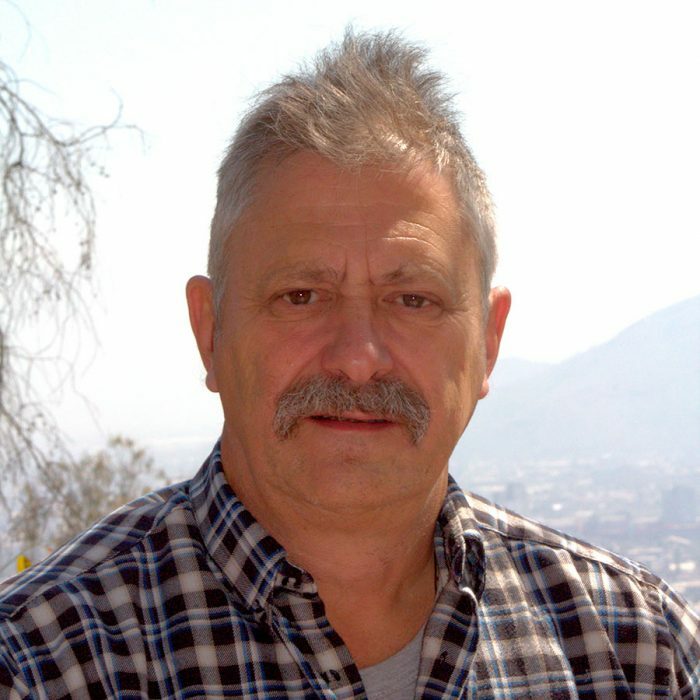 He is the current Director of CEMC, which continues to pursue similar scientific objectives, foster the training of advanced human resources by providing unique research opportunities for students at all levels (undergraduate, graduate, post-graduate), as well as favorable conditions for the insertion of young academics into the Chilean research system. Additionally, he was director of the Network for Metabolic Stress Signalling (NEMESIS, 2012-2015), a research initiative that evaluated molecular mechanisms underlying the development of chronic diseases in Chile (see website www.nemesis-ring.cl). Finally, he is now principle investigator and scientific director (area cancer) of another FONDAP center called the (Advanced Center for Chronic Diseases) (ACCDiS, 2013-2023) with six investigators that was funded to study mechanisms leading to the development of cardiovascular diseases and cancer. Caveolin-1 related work. We have obtained evidence that the scaffolding protein caveolin-1 (CAV1) can function both as a tumor suppressor and promote metastasis in cancer cells. The tumor suppressor function has been linked by our group to the presence of E-cadherin, which is frequently lost following epithelial-mesenchymal transition (EMT). Alternatively, in the absence of E-cadherin, CAV1 promotes metastasis by activating a novel p85/Rab5/Tiam1/Rac-1 signaling axis in a manner that requires phosphorylation of tyrosine-14. All these processes are linked to CAV1 presence at or near the cell surface. More recently, our interests center on the possibility that both traits of the protein are linked to presence of CAV1 in intracellular compartments, including the ER and mitochondria, and understanding how these roles are controlled by the activity of specific tyrosine phosphatases. Additionally, we are studying how CAV1 in exosomes contributes to the metastatic phenotype of cancer cells. a) Regulation of mitochondrial dynamics by caveolin-1. CAV1 expression in metastatic cancer cells decreased O2 consumption, reduced ATP content and promoted transition to a more glycolytic metabolism (Warburg effect). This was associated with increased production of reactive oxygen species of mitochondrial origin that promote tyrosine-14 phosphorylation and favor the migratory/invasive cell phenotype. b) Regulation of endoplasmic reticulum (ER)-mitochondria communication. Mitochondrial activity can be also regulated by close contact with (ER). We have identified CAV1 as a negative regulator of the unfolded protein response (UPR) and autophagy by a variety of mechanisms in cancer cells. Also, CAV1 reduces Ca2+ transfer from ER to the mitochondria. This may be ascribed to the inhibition of Protein Kinase A-mediated phosphorylation of Drp1 and enhanced mitochondrial fission. All these effects enhance stress-induced cell death and are consistent with being relevant to the tumor suppressor function of CAV1. c) Role of caveolin-1 in exosomes. CAV1 is also known to be present in exosomes from breast cancer and melanoma cells; however, its role there remains poorly defined. We have evidence that aggressive breast cancer cells, which express endogenously CAV1 produce exosomes with CAV1. Moreover, these CAV1 containing exosomes, but not exosomes from CAV1 knock-down cells, promote migration, invasion and metastasis of less aggressive recipient breast cancer cells. By mass spectrometry analysis, we identified a number of proteins that are exclusively present in CAV1 containing exosomes as related functionally to the process of cell adhesion. Currently, studies evaluating the role of these proteins in the biological responses triggered by CAV1 exosomes are underway. Helicobacter pylori related work. The development of gastric cancer associated with Helicobacter pylori (H. pylori) infection has been linked to oxidative stress generated in part due to an immune response against bacterial virulence factors. H. pylori gamma glutamyl transpeptidase (GGT) is a secreted enzyme that contributes to production of reactive oxygen species and is associated with peptic ulcer development. Alternatively, although expression of the inhibitor-of-apoptosis protein survivin in adults is frequently linked to the development of cancer, evidence indicating that the protein is present in normal gastric mucosa is also available. Our results revealed that H. Pylori infection of gastric cells leads to loss of survivin and cell death via a mechanism mediated by GGT. Alternatively, we have more recently become interested in how H. Pylori infection induces the expression of hypoxia-induced factor-1a, a transcription factor that coordinates many aspects important to tumor development. Most recent results implicate the virulence factor urease in this process by acting as a ligand that binds to the toll-like receptor-2 (TLR2). Currently, we are evaluating how these events contribute to inflammation induced by H. Pylori. Together, we anticipate our observations will open up the possibility of developing effective non-invasive tools for early diagnosis and treatment of early stage disease using nanotechnology. Bender, F. Raymond, M., Bron, C. and Quest, A.F.G. “Caveolin-1 levels are down-regulated in human colon tumors, and ectopic expression of caveolin-1 in colon carcinoma cell lines reduces cell tumorigenicity” Cancer Res. 60, 5870-5878 (2000). Felley-Bosco E., Bender F., Courjault-Gautier F., Bron C., and Quest A.F.G. “Caveolin-1 downregulates inducible nitric oxide synthase (iNOS) via the proteasome pathway in human colon carcinoma cells” Proc. Natl. Acad. Sci. USA, 97, 14334-14339 (2000). Torres, V.A., Tapia, J.C., Parraga, M., Lisboa, P., Montoya, M., Leyton, L., and Quest, A.F.G. “Caveolin-1 Controls Cell Proliferation and Cell Death by Suppressing Expression of the Inhibitor of Apoptosis Protein Survivin”, J. Cell Sci. 119: 1812-1823 (2006). Tapia, J., Torres, V., Rodríguez, D., Leyton, L., Quest, A.F.G. “Casein kinase 2 (CK2) increases survivin expression via enhanced b-catenin/T cell factor/lymphoid enhancer binding factor-dependent transcription¨, Proc. Natl. Acad. Sci. USA 103: 15079-15084 (2006). Torres, V, Tapia, J., Lladser, A., Rodriguez, D., Arredondo, C. Leyton, L., Quest, A.F.G., “E-cadherin is required for caveolin-1 mediated down-regulation of the inhibitor of apoptosis protein surviving via reduced β-catenin/Tcf-Lef-dependent transcription” by Mol. Cell Biol . 21: 7708-7717 (2007). Rodríguez, D., Tapia, J.C., Fernandez, J.G., Torres, V.A., Munoz, N., Galleguillos, D., Leyton, L., and Quest, A.F.G., “Caveolin-1-mediated suppression of cyclooxygenase-2 via a β-catenin-Tcf/Lef-dependent transcriptional mechanism reduced PGE2 liberation and survivin expression” Mol. Biol. Cell. 20: 2297-2310 (2009). Valenzuela, M., Perez-Perez, G., Corvalán, A.H., Carrasco, G., Urra, H., Bravo, D., Toledo, H., and Quest A.F.G.. “Helicobacter Pylori-induced loss of the inhibitor of apoptosis protein survivin is linked to gastritis and death of human gastric cells” J. Inf. Disease 202: 1021-1030 (2010). Urra, H., Torres, V.A., Ortiz, R., Lobos-Gonzalez, L., Díaz, M.I., Díaz, N., Härtel, S., Leyton, L, Quest, A.F.G. “Caveolin 1 enhanced motility and focal adhesion turnover require tyrosine 14 but not accumulation to the rear in metastatic cancer cells” Plos ONE 7(4): e33085 (2012). Lobos-González, L., Aguilar, L., Diaz, J., Diaz, N., Urra, H., Torres, V.A., Silva, V., Fitzpatrick, C., Lladser, A., Hoek,K.S., Leyton, L., and Quest, A.F.G. “E-cadherin determines Caveolin-1 tumor suppression or metastasis enhancing function in melanoma cells” Pigment Cell Melanoma Res 26: 555-570 (2013). Díaz, J., Mendoza, P., Ortiz, R., Díaz, N., Leyton, L., Quest, A.F.G. and Torres, V.A. Rab5 is required for Caveolin-1-enhanced Rac1 activation, migration and invasion of metastatic cancer cells. J. Cell Sci. 127: 2401-2406 (2014). Núñez-Wehinger, S., Ortiz, R., Díaz, N., Díaz, J., Lobos-González, L., and Quest, A.F.G. “Caveoin-1 in cell migration and metastasis” (invited review) Curr. Mol. Medicine 14: 255-274 (2014). Lobos-González, L., Fernández, J.G., Aguilar, L., Fernandez, J.G., Muñoz, N., Hossain, M., Bieneck, S., Silva, V., Burzio, V., Sviderskaya, E.V., Bennett, D.C., Leyton, L., Quest, A.F.G. “Caveolin-1 is a risk factor for post-surgery metastasis in a preclinical melanoma model” Melanoma Research 24: 108-119 (2014). Fernandez, J.G., Rodriguez, D.A., Valenzuela, M., Urzua, U., Munroe, D., Rosas, C., Lemus, D., Leyton, L., Tapia, J.C., Quest, A.F.G. Survivin expression promotestumor angiogenesis via PI3K/Akt-enhanced b-catenin-Tcf/Lef-dependent transcription of vascular endothelial growth factor. BMC Molecular Cancer 13 (1) : 209 (2014). Valenzuela, M., Canales, J., Corvalán, A.H., and Quest, A.F.G. “Helicobacter pylori-induced inflammation and epigenetic changes during gastric carcinogenesis” World Journal of Gastroenterology (2015) 21 (45) 12742. Sanhueza, C., Wehinger, S., Castillo, J., Valenzuela, M., Owen, G., Quest, A.F.G. “The twisted survivin connection to angiogenesis” Molecular Cancer (2015) 14(1): 1. Ortiz R, Díaz J, Díaz N, Lobos-Gonzalez L, Cárdenas A, Contreras P, Díaz MI, Otte E, Cooper-White J, Torres V, Leyton L, Quest, A.F.G. “Extracellular matrix-specific Caveolin-1 phosphorylation on tyrosine 14 is linked to augmented melanoma metastasis but not tumorigenesis. Oncotarget. 2016 Jun 28;7(26):40571-40593. Bravo-Sagua R, López-Crisosto C, Parra V, Rodriguez-Peña M, Rothermel BA, Quest A.F.G., Lavandero S. mTORC1 inhibitor rapamycin and ER stressor tunicamycin induce differential patterns of ER-mitochondria coupling. Sci Rep. 2016 Nov 3;6:36394. *Equal contribution as corresponding authors. Canales, J., Valenzuela, M., Bravo, J., Cerda,P., Jorquera, C., Toledo, H., Bravo, D., Quest, A.F.G. “Helicobacter pylori induced phosphatidylinositol-3-OH kinase/mTOR activation increases hypoxia inducible factor-1α to promote loss of Cyclin D1 and G0/G1 cell cycle arrest in human gastric cells” Frontiers in Cellular and Infection Microbiology (2017) 7. Díaz-Valdivia, N.I., Calderón, C.C., Diaz, J.E., Lobos-González, L., Sepulveda, H., Ortíz, R.J., Martinez, S., Silva, V., Maldonado, H.J., Silva, P., Wehinger, S., Burzio, V.A., Torres, V.A., Montecinos, M., Leyton, L., Quest, A.F.G. “Anti-neoplastic drugs increase caveolin-1-dependent migration, invasion and metastasis of cancer cells” Oncotarget (2017) 8, (67): 111943-111965. Oyarce, C., Cruz-Gomez, S., Galvez-Cancino, F., Vargas, P., Moreau, H., Diaz-Valdivia, N., Diaz, J., Salazar-Onfray, F., Pacheco, R., Lennon-Dumenil, A.M., Quest, A.F.G. * & Lladser, A. * “Caveolin-1 expression increases upon maturation in dendritic cells and promotes their migration to lymph nodes thereby favoring the induction of CD8+ T cell responses” Frontiers in Immunology (2017) 8; 1794. *Equal contribution as corresponding authors. Cerda-Opazo, P., Valenzuela-Valderrama, M., Wichmann, I., Rodríguez, A., Contreras, D., Fernández, E., Carrasco, G., Corvalán, A.H.*, Quest, A.F.G. * “Inverse correlation between Survivin and Reprimo predicts poorer survival rates in gastric cancer” Oncotarget (2018) 9 (16) 12853-12867. *Equal contribution as corresponding authors. Diaz, P., Valenzuela-Valderama, M., Bravo, J., Quest, A.F.G. “Helicobacter pylori and gastric cancer: Adaptive cellular mechanisms involved in disease progression” Frontiers in Microbiology (2018) 9:5. Guerrero, S., Diaz, V., Contreras, P., Lara, P., Palma, S., Guzman, F., Lobos, L., Cardenas, A., Rojas, X., Leyton, L., Kogan, M.J.*, Quest, A.F.G. * “Gold nanoparticles as tracking devices to shed light on the role of Caveolin-1 in early stages of melanoma metastasis” Nanomedicine 13 (12), 1447-1462. *Equal contribution as corresponding authors. Díaz-García V.M., Guerrero S., Díaz N., Lobos L., Catalán J., Kogan M. J., Pérez-Donoso J. M.* and Quest A.F.G. * “Biomimetic quantum dot-labeled B16F10 murine melanoma cells as a tool to monitor early steps of lung metastasis by in vivo imaging” International Journal of Nanomedicine (2018) 13, 6391. *Equal contribution as corresponding authors. Bravo-Sagua, R., Parra, P., Ortiz-Sandoval, C., Rodríguez, A., Diaz, N., Sanhueza, C., Simmen, T., Quest, A.F.G. *, Lavandero, S.* “Caveolin-1 impairs PKA-DRP-1-mediated remodeling of ER-mitochondria communication during the early phase of ER stress” Cell Death and Differentiation (2018), 1. *Equal contribution as corresponding authors. Campos, A., Salomon, C., Bustos, R., Díaz, J., Martínez, S., Silva, V., Reyes, C., Díaz-Valdivia, N., Varas-Godoy, M., Lobos González, L.*, Quest, A.F.G. * “Caveolin-1-containing extracellular vesicles from metastatic cells transport adhesion proteins and promote malignancy in breast cancer cells” Nanomedicine (2018) 13 (20). *Equal contribution as corresponding authors. Bravo D, Hoare A, Soto C, Valenzuela M, Quest A.F.G. “Helicobacter pylori in human health and disease: Mechanisms for local gastric and systemic effects” World Journal of Gastroenterology (2018) 24 (28), 3071. Guerrero, S., Contreras-Orellana, P., Diaz-Garcia, V., Lara, P., Vivanco-Palma, A., Inostroza-Riquelme, M., Cárdenas, A., Miranda, V., Leyton, L., Kogan, M.J., Quest, A.F.G. *, Oyarzun-Ampuero, F.* “Curcumin-Loaded Nanoemulsions Block Melanoma Reincidence and Metastasis After Surgical Removal of Primary Tumors” Nanoscale (in press). *Equal contribution as corresponding authors.